Adaptive feedforward broadband vibration (or noise) compensation is currently used when an image (a correlated measurement) of the disturbance is available. However, in most of the systems there is a “positive” feedback coupling, between the compensator system and the measurement of the image of the disturbances, which cannot be ignored. The feedforward filter should compensate for the effect of the disturbance while assuring the stability of the internal “positive” feedback loop. 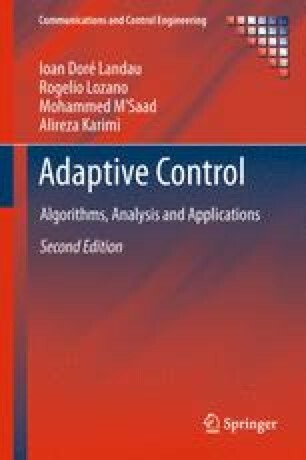 Algorithms for adaptive feedforward compensation in the context of this internal positive feedback will be presented and analyzed. The algorithms are evaluated in real time on an active vibration control (AVC) system using an inertial actuator.